TONIGHT! 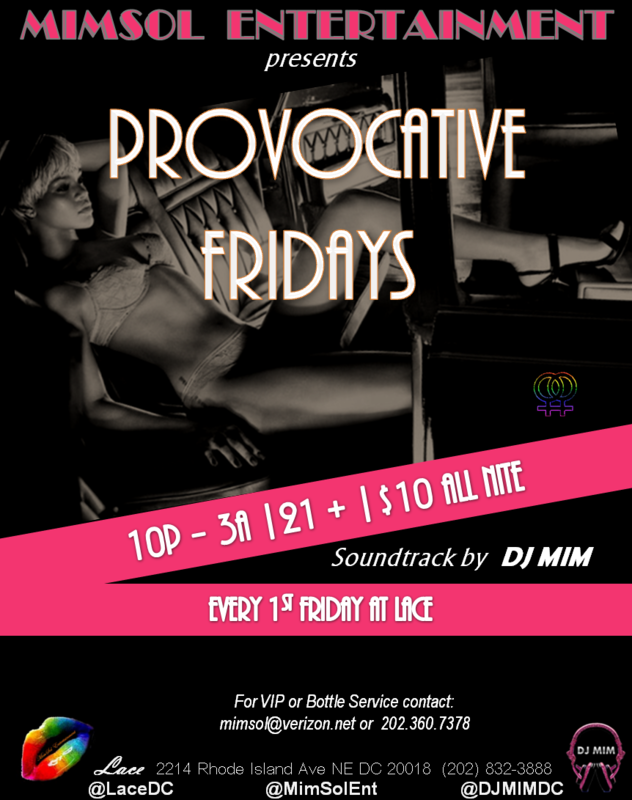 “MimSol Entertainment’s PROVOCATIVE FRIDAYS” at @LaceDC! Music by @DJMIMDC! Each and every 1st Friday at Lace! This entry was posted in DJ MIM, Events and tagged dj mim, DJMIMDC, Lace DC, Lace Lounge, Lace Nightclub, lesbian, Lesbian nightlife, Lesbian Party, MimSol Entertainment, Provocative Fridays, washington dc by MIM Entertainment. Bookmark the permalink.